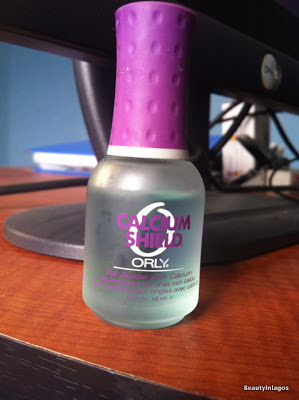 This is just a post about what I use to keep my nails strong. Since my first Manicure Monday post I have received a few questions asking what I do to maintain them. I have damaged my nail-bed twice in the past couple of years (I know I must’ve damaged them a million times before then, but never as bad as these situations). The first was from wrapping them and the second was from Shellac. Now the Shellac was somewhat my fault, I was getting them far too often and then most times I would just peel them off, rather than go in to the salon to get the polish dissolved. This is why I always advice taking like a 2-3week break between each Shellac manicure, just to give your nails some time to ‘breathe’. You can get a regular change of polish manicure in between your Shellac breaks. The first damage from wrapping, I didn’t do anything at all to heal it, I just stopped wrapping them. But this time around with the Shellac I went out and got myself something to use. 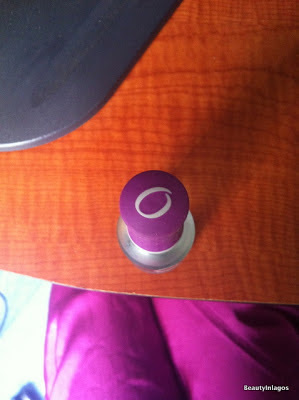 I apply one coat when I use it as a Basecoat and 2 coats when I don’t plan on wearing any nail polish over it. I gotta say I did expect instant results, but that didn’t happen. I started to notice a difference like 4-5weeks in, but from 7-8weeks my nails were back to normal. Bear in mind I change my nail polish like twice a week, so I had a fresh coat of the Calcium Sheild each time. Even now that my nails are back to normal, I still use this as a base coat just to keep my nails in tiptop shape. Prevention is better than cure… I can tell you that much! What Nail-Strenghtening products do you use? THE BiL ANNIVERSARY GIVEAWAY ENDS TOMORROW!! : HERE! Aiite Ez,thank u for dis! 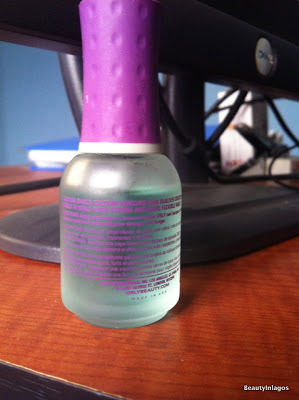 I use Sally Hansen Hard as Nails. Just the right info when I really needed it, thanks. I'm taking supplements Solgar msm advanced formula for skin, hair and nails. I actually got it for my hair but am hoping to see good results for my nails too. I don't use any cos I have lovely nails. My nails are long and strong, do I still need any nail strenghtening?